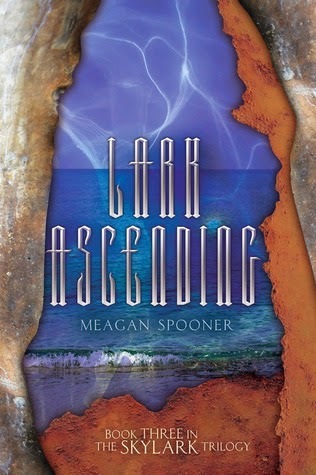 I was extremely lucky to win a signed ARC of Lark Ascending from Meagan Spooner and I had been postponing reading it but now that release date approaches I've finally allowed myself to read it!! 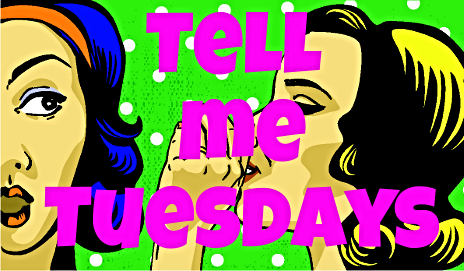 Mark This Book Monday: Unmade by Sarah Rees Brennan!! Sorry for the silence yesterday and the lack of Showcase Sunday post, but I decided to take a day off the blog for my birthday! So far I haven't got many presents, but I've been told to get myself something I want, so now I'm debating to get a regular Kindle or a Paperwhite, so I don't read all the books on the tablet to protect my eyes for the future... any recommendations?? Monday is here once again and with it a new week and a new Mark This Book Monday entry! Today I'm entering my second and last entry for the September is for Sequels challenge, and once again it was not one of the original pile that I challenged myself to read, so I must announce I've failed massively at it! Oh well... 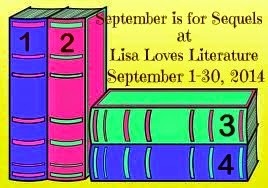 I still hope to read those in October before I leave for my vacation! If there is something you know before hand when reading a Sarah Rees Brennan book is that it's quite likely to make you cry and destroy your heart bit by bit, and in case you don't, you know now and forewarned is forearmed, even if it really won't help you one bit, trust me. Just one word of warning before you continue reading this review, since I'm gonna be discussing my feelings about the book I cannot guarantee that it'll be completely spoiler free, so read at your own risk. Every previous book in the trilogy ended with an awfull cliffhanger and so when I started this one I felt I could pass pages fast enough to see what would became of Jared and like Kami, help hope tight and hoped for the best. Kami has to be one of my favourite YA heroines, she tries so hard, loves so much, won't take no for an answer and goes on for those she loves no matter what. She's also super witty and hilarious and I have been rooting for her since book one! I love how she's grown little by little through all three books and how she finds herself that being scared and being brave is not incompatible, not only when facing evil sorcerers but also when facing her own feelings. Kami's family has gained relevance to the main plot exponentially and in this one both her dad, that has her same hilarious sense of humour, but her mum's choices and her brothers are put in the very eye of the storm. I loved how real the strain in her parents relationship felt and how real the patching up of said relationship went. Then we have Angela and Rusty and Holly... those three were Kami's not related by blood family and helped her and supported her through and through, even if I completely disagree with some of their choices and heroics and it broke my heart and my poor Angela!! And then there are Jared and Ash... the Lynburn boys, maybe brothers, and their rather complex relationship and even more complex relationship with Kami, as sorcerers and source and linked and not linked and goodness the about of grief these three caused me on this book! I'll only say my ship became canon, I'm very happy and I really cried with the epilogue! Lillian was quite a surprise in this book, I always felt like she was the lesser of two evils but in this book we see her progressing from that to something and someone more akin to good, and not just the "anything is better than Rob" option. I loved her choosing her side, learning to show some love to both boys and her facing Rob was quite epic! Rob is clearly a mad evil force in this one, but one that is even more evil and mad than I or the characters even expected. I really hate his declarations of supreme love to Lillian and dismissing her feelings as if they didn't count... but glad that his superiority and arrogance, and the sacrifices of many, were what led to his doom. I enjoyed the book and felt the pacing was quite good, fighting for their lives, plotting to try to stay alive, protect each other and free the town from the evil sorcerers but since we could be dead tomorrow, there are also loads of very emotionally charged scenes. Chapter 19 and the Epilogue really made me sob for very different reasons and I'm quite in love with the way the series has finished, even if I'm not happy about the deaths. Very well deserved 4 stars for this one! Saturday Pages: Harriet The Spy by Louise Fitzhugh!! Today's Saturday Pages post is up considerably later than usual but not only I was massively tired and rather emotionally wrenched after a bit of tiring night shift at work, but also once I've been up and flaffing around the internet, I've been procastinating about a bit... but here it is! 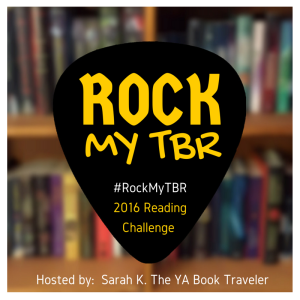 After skipping last month's read cause I ended up being too busy, this month I've been back with the amazing ladies at The Midnight Garden and their fantastic Classic Young Adult & Middle Grade Challenge! Reading Harriet was once again part of the Classics Middle Grade & YA realong that the awesome ladies of The Midnight Garden have going on this year. I arrived late but I've loved joining and reading all these books that I missed on my own childhood. With some it's easier to see them with my own childhood eyes, but others are a lil more difficult and I end up reading them as my adult self only, and Harriet the Spy was one of those. Harriet was a breath of fresh air if we discuss more usual characters in classic YA, because many of the ones that come to mind are too perfect children with their prayers, their chores and their telling the kids that are reading them to behave like that or else. Harriet felt more like a real child, like someone kids that aren't perfect can relate to in one way or another. Harriet is girl that is different from all the girls I read about on most of my MG reads, she wants to be a spy and works very hard at it, keeping her notebooks full of her writings and observations, that hit me as mean without meaning to, born in a rather privileged family and with a nurse, Ole Golly, to take care of her. She loves her routines and will only eat tomato sandwiches for lunch at school. When her latest notebook ends up in the hands of her friends and classmates she has to face the aftermath of all the mean things she's written about them, and is confronted with quite a few lessons about growing up at the tender age of 11. Maybe I was a nicer kid back in my own childhood or maybe I was more prone to instrospection and self analysis on my own journals, but except for some very poignant comments here and there about life, most of Harriet notes on her notebooks came across as just nasty, without malice but showing a certain lack of empathy that could be simply part of growing up, but it seems to me that she fails to see how what she gets from her classmates and friends after the notebook is found is no more and no less but what she was writing in private. I found this book to be a very fascinating read about the time period and the world that Harriet lived in, one of material privilege but of a lack of emotional support. Her parents though loving simply had left everything in the hands of the nurse and once Ole Golly leaves, they realize they don't know their own child. Harriet in some aspects made me think of kids that although not fully, are somewhat on the autism spectrum with her difficulties of grasping other people's emotional responses or responding with empathy, her attachment & compulsion to write on her notebooks, her inordinate love of routines only broken when she's terribly upset and her tomato sandwich obsession. After talking to the ladies at Midnight Garden I also realized that there seems to be a certain queer subtext on Harriet's preferring her more boy-ish spy clothes to her more normal girly clothes. But all simply boiled down to Harriet being a character with which people that aren't exactly "normal" or "perfect" could relate to. Of the secondary characters some might have seemed more cookie cutter typical, like the main mean girls that seem to only want to emulate their mothers and have tea and play bridge, but there are also others that are great as contrast, such as Sport, a boy so young that still has to be the brains and common sense in his household with a rather made writer father. And Janie with her love for chemistry and experiments that also made her not exactly the kind of daughter her well-to-do parents would have expected. This was one of those books that have left me with more food for thought that fuzzy feelings, but both are equally important for me and equally necessary. Very well deserved 4 stars for this one! It's My Birthday Week: Today I'm giving away A Mad Wicked Folly by Sharon Biggs Waller!! Well, well, well! Today it's Saturday and it's the day before my birthday, so it's the last day of the giveaways! And I've saved quite a special book for last. This has to be hands down my favourite debut of the year, I adore this book to bits and I continue to push it on every single one of my bookish friends that still hasn't read it! I feel that it's also one of those books that hasn't got as much hype as it deserves, so I'm doing my part, small as it may be to get it out there more! As all the previous giveaways, this one is open INTERNATIONAL! A Mad Wicked Folly is historical fiction, and what a wonderful book it is! I loved the period that the book is set on, and all the fight for getting the right to vote for women. Something that we take quite for granted nowadays, but it's been so for less than a century and in some places it isn't still recognized. Sharon Biggs Waller did an amazing job at making us feel the restrictions of society and at least for me, to get really angry to see how society in general, and not just men, treated the Suffragists. I adored the book so much that not only I gave it 5 stars on my review HERE but I also made decorated cupcakes inspired by it in my Ink & Batter feature! Now if you want to get a copy of this gorgeous (in & out) book and I do hope you do, just enter the Rafflecopter below! 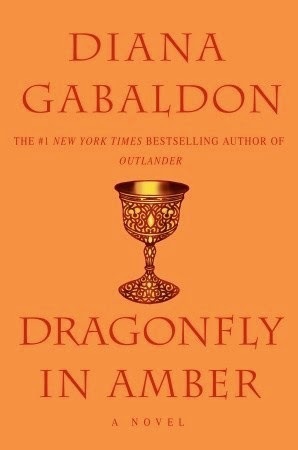 Friday Reads: Outlander by Diana Gabaldon!!! Soooo, how is your Friday going guys?? 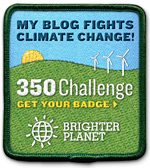 Are you joining my birthday week celebration and entering the giveaways? I hope you are!! Today as my Friday Reads entry I have a book that had not expected to read, and even less expected to love as much as I did. I blame it all on the amazing Outlander show on Starz and the awesome Twitter ladies that with their love for the show and books made me want to watch and then read: Sharon, Sara, Kate... THANK YOU! I had seen the Outlander books many times out there but for some reason I was never drawn to them. But then time passed, the show was made and many of the awesome ladies I follow on Twitter started tweeting about the awesome show and even more awesome Jamie and I decided to give the show a try. So I started watching the show, loved it to bits and decided to read the first book in the series while waiting for the next episode! As contrary as you would expect I'm not kicking myself for not having read this book before because I think this book was exactly what I needed in this moment in my life and it's simply meant so much to me that it wouldn't have at a different time. Outlander is a story of love, adventure, history, time travel and magic. I wasn't very sure about the time travel bit but I think the way it was done, with the magic element and the unknown instead of trying to give us some explanation simply works great for the story. The focus is not so much the time travel, but finding yourself in another time, getting to grips with it and trying to adapt and not stick out too much while you try to go back to your own time. Claire Randall (or Beauchamp) is a World War II nurse that is returning to normal life once war is over and is trying to find her way back to her marriage after all the time apart. They go on a second honeymoon to Scotland together to rebuild their relationship and their intimacy and it's during that time that Claire finds herself traveling back in time to 1743 without meaning to. And Claire is such a great character, she tries logic first, trying to rationalize what might be a sensible explanation and then she ends up accepting that something very strange has happened and focuses on survival. Finding herself in the middle of a struggle and in what can be enemy territory, she can't help but follow her instincts as a nurse and help and by doing so, she starts a new thread in her life that she never would have imagine or wanted. Seeing her trying to make the best of an extremely confusing situation and still being true to her values and not giving up on her strenght, even when she makes some not so intelligent choices was fantastic. She's a strong character and even when she has very few options, she always try to make her own choice, not letting others decide for her. Given that the 18th century isn't exactly a feminist haven, this strikes me as the hardest balance to keep for her, if we don't count the quite massive emotional turmoil that she goes through leaving behind her rekindled relationship with her husband and finding herself progressively falling in love with another man. And that brings us to Jamie, ah dear Jamie! He's a young Scot that Claire helps heal on her first few hours on the 18th century and he's the one that seems to distrust her less and seems to appreciate her being different the most. He was a wonder to read about and I loved that despite all the hardships in his life, he still remained such a nice guy all around. He is nice, caring, strong, terribly stubborn but also very loyal and ended up being the most interesting and enticing guy I had read about in a loooong time. If there is a character that I'd really claim as a book boyfriend, it'd be James Alexander Malcom McKenzie Fraser. Even if at times he can also be infuriating and I felt like giving him a smack or a good talking to, something that Claire did for me every time! I just adored their relationship all over the book, how they get to know each other, find themselves as friends, allies, lovers and simply the best team ever. The background for all this is a Scotland that is defying the British rule, even if not yet in open battle, so the political enviroment was perfect for a lot of action and plenty of drama. Though the book is a very long one I never once felt like I wanted to skip something or other, because in the end a lot of details here or there had relevance further on. The secondary characters were amazing in general, even if I fell in love with some more than with others. All in all a fantastic book and one that has entered straight away into both my favourites and my therapy reads shelves! Very much deserved 5 stars!! It's My Birthday Week: Today I'm giving away The Art of Lainey by Paula Stokes!! The weekend is almost here and to continue the celebrations for my birthday week I have a giveaway for another of my very favourite books of the year! 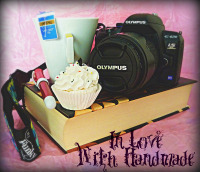 This giveaway as well as all the others run by me in the blog are all INTERNATIONAL! The Art of Lainey was one of those amazing surprises of the year. I've never been a big fan of contemporary stories but decided to give Lainey a try and I just so happy that I did! Not only Lainey is a gem of a book but it also worked as therapy for me at a moment when my emotional state was at what has been the worst of my life so far. Lainey's path and mine are nothing alike and our situations differed a lot, but the general message was one that really resonated with me. 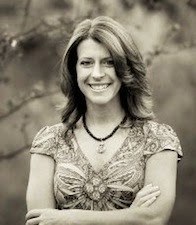 And not only that, Paula Stokes is an awesome lady & author! You can read my review of Lainey HERE. Also you can see the inspired decorated cupcakes I made for it in my Ink & Batter feature! 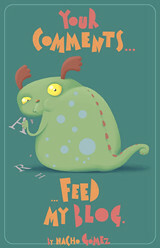 And if you want to get yourself a copy of the book, just enter the via the Rafflecopter below! 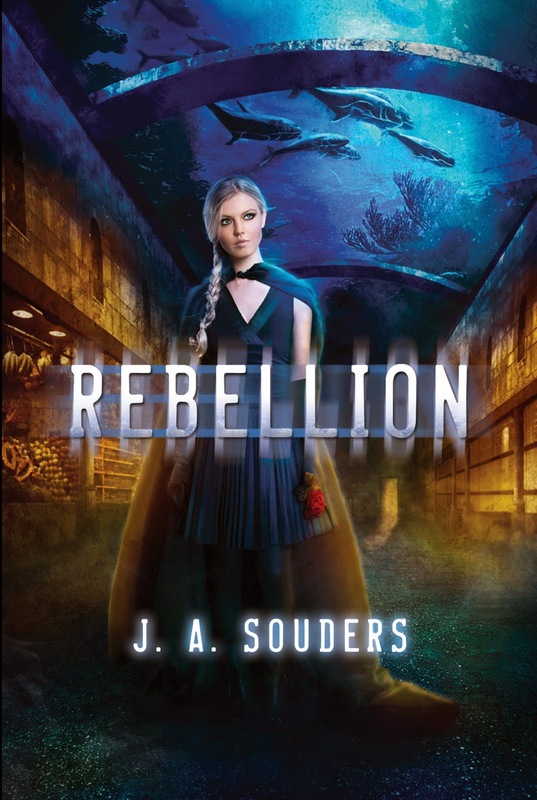 Cover Reveal for Rebellion by J.A. Sounders!! You guys will have to scroll down to see the cover, but trust me... it's beyond gorgeous!! I'm so gonna love getting an hardcover of it as soon as it releases!! 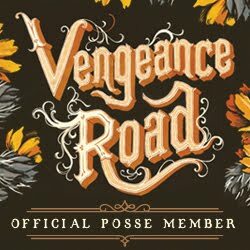 1 winner will receive physical copies of RENEGADE AND REVELATIONS plus the eNovellas. And ASK AGAIN LATER by Liz Czukas. If you have J.A.s books already, she will do an amazon or book depository gift card of the same value. It's My Birthday Week: Today I'm giving away Shadows by Paula Weston!! Continuing with the week long celebrations for my birthday (I'm still feeling a bit wishy washy about it) today I have another fantastic, 5 stars and completely obsessed I'm-pushing-this-book-on-everyone book! And yes, for anyone wondering this giveaway as all the others is open INTERNATIONAL! Today's book is Shadows by Paula Weston, and you can read my review for it HERE! I absolutely adored this book (and the other two in the series that are out so far) and it was quite a surprise, cause I'm not usually big on angel's books. But these are not your regular books about angels AT ALL! These are NOT preachy, full of action, amazing romance that doesn't get in the way of the story and many surprises along the way! Interested in the book? You should be! Click & enter the rafflecopter below to win! Sooooo, what book am I absolutely dying why-is-it-not-here-yet for this week? 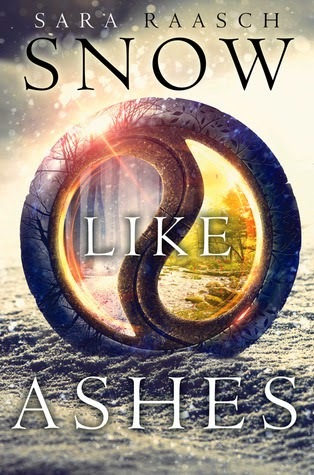 Snow Like Ashes by Sarah Raasch!! Why am I eagerly awaiting Snow Like Ashes? Well, first of all I fell in love with the cover and then it sounds like a fantastic fantasy story and I'm soooo in the mood as of late for fantasy as of late! Kingdoms that are static for each season and others that have all 4? Sounds so intriguing!! 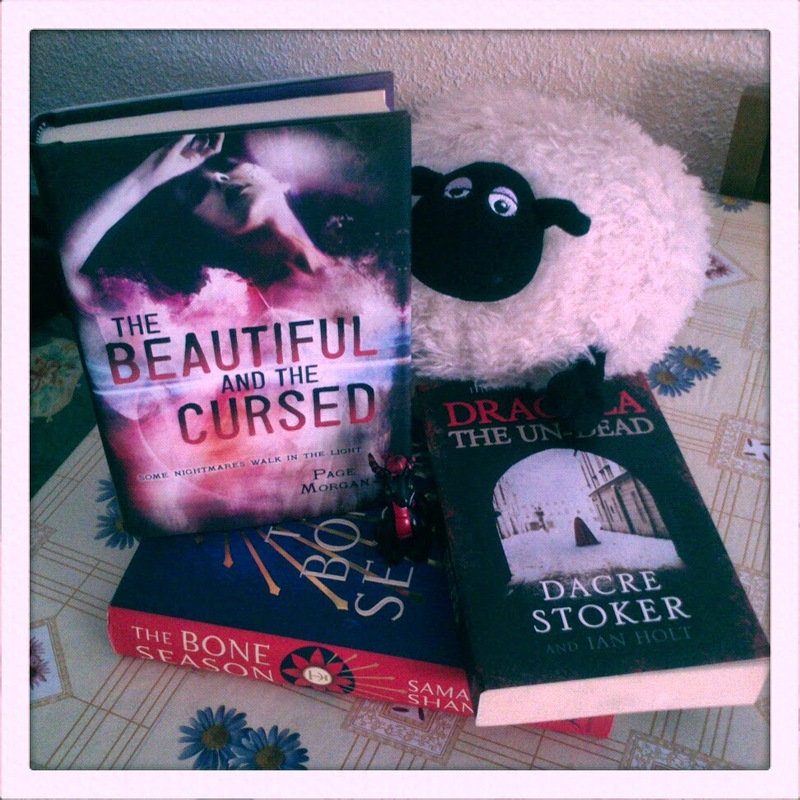 It's My Birthday Week: Today I'm giving away The Winner's Curse by Marie Rutkoski!! To continue with my birthday celebrations, today I'm giving away yet another book and this one is another of those books that has really made a big impression on my this year! All the giveaways are of course international, everyone is welcome! The Winner's Curse was on of my first 5 stars and author discoveries of the year. The writing in this book is absolutely gorgeous, and I loved the world building of it, I had seen it as fantasy, but I think the best to describe it is as historical fantasy. Marie Rutkoski has created her own unique world with two kingdoms that can remind us of other ancient history civilizations, the Valorians are for me a mix of Romans & Spartans (because of their focus on the military) and the Herrans that could be more a mix of Greece and Cartago. All the details and the richness of the world she created is one of my favourite parts of the book! Also, this was one of hell of cruel book for my heart, the romance is a slow burn and forbidden and just amazing! For more of my ramblings, you can read my review HERE. And if you want to win a paperback copy of this book, enter the rafflecopter below!! 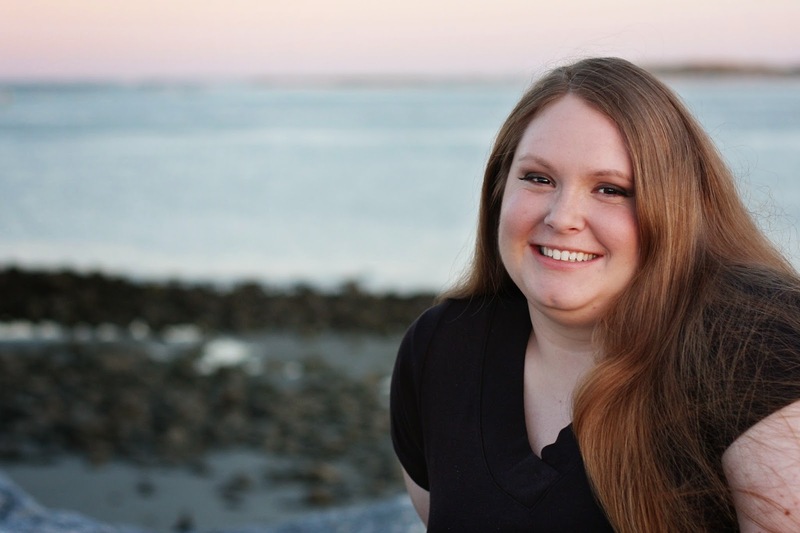 Xpresso Book Tour Blog Tour for Raven by Stacey Rourke!! Hey there everyone! 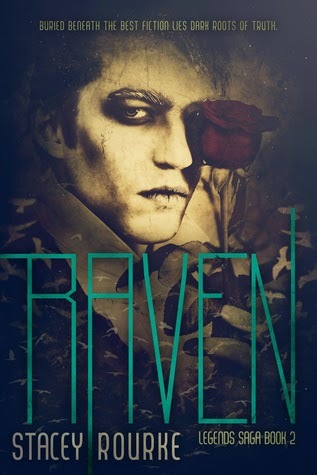 Today I'm taking part in the Blog Tour for Raven by Stacey Rourke, organized by Xpresso Book Tours! I will be sharing my review & a Blog Tour wide giveaway, so click HERE for the full tour schedule! But before that, let's get you some more information about the book & author, shall we? This was an extremely fast and engaging read that had me turning pages in alternatively mad pace to see what will happen next and slowly to enjoy the creepy gothic feel to it. I absolutely adore how well the author mixed both and managed to have that darkness present all over the book but never being too overwhelming. The ending was yet another cruel but not horribly so cliffhanger and really leaves you pinning for the next book, hoping to get some more answers to the many unanswered questions, new and old! Very well deserved 4 stars to this one! Now a legacy of blood and desire will test her beautiful copper-haired daughter, Brianna, as Claire's spellbinding journey of self-discovery continues in the intrigue-ridden Paris court of Charles Stuart in a race to thwart a doomed Highlands uprising ...and in a desperate fight to save both the child and the man she loves." I absolutely loved and adored Outlander, the first book in the series and that was a total treat read for myself, ignoring all my schedules, cause I had grown quite obsessed with the show and Mr James Alexander Malcom McKenzie Fraser! Massive book boyfriend crush on that one I'm having! It's My Birthday Week: Today I'm giving away The Girl With All The Gifts!! So, Tuesday is here and continuing with the birthday celebration, I have another book to give away today! And it is, of course, open internationally! Today I'm gonna be giving away a paperback copy of The Girl With All The Gifts by M.R. Carey! This one came highly recommended by Wendy from The Midnight Garden and when Kristen from My Friends Are Fiction and myself did a buddy read for it, we both absolutely loved it! It has a very interesting take on the zombie phenomena and it's full of surprises on each page you turn! You can read my review for it HERE! So if you want to win this one, go enter in the rafflecopter below! Mark This Book Monday: Illusions of Fate by Kiersten White!! As you might already know, this is my birthday week (if you don't know, check my previous post HERE!) and I'll be having daily giveaways. But I will also be having my regular posts, so I have a Mark This Book Monday entry ready for you all. This was one of those me books that I feel like I need to read now and then, not an ARC, not to be counted towards any challenges but one new release that I really felt like reading! I fell in love with the cover of this book as soon as I saw it, and I've been coveting the teacup in said cover ever since (btw, if any of you see a teacup similar to that one anywhere, do tell me!! I NEED it!). I decided that I really needed to read this one after I read Alyssa's review for this one. Historical fiction is one of my beloved genres and has been for as long as science fiction and even longer than fantasy! So today I felt like needed a comfort read and a rather small book (even more since I had just recently finished Outlander with its over 700 pages!) and this was the perfect book! I adored the setting of this book because it was so reminiscent of the Victorian times but at the same time with plenty of small touches here and there that turn the world into something new and different. We only get a bit of a small glimpse at the larger world in this one and I feel like there can be so much more! More history, more background, moooore! It is a fascinating world and I am left wanting more! Jessamin is a wonderful main character! She's strong, intelligent, she refuses to back down easily and she won't allow herself to let others control her destiny. I loved how she also grows during the book, learning to let some of prejudices go and become someone that can make hard choices and also accept help. Finn was a very enigmatic character and one that I really liked, and it was funny to see how Jessa missed some really clear clues when it came to him, but I guess denial is powerful indeed! Finn can be a bit irritating on occasion with his protectiveness but he's also pretty swoon-worthy. And his banter with Jessa has to be one of my favourite parts of the book too. Kiersten White is a fantastic writer of banter and witty dialogue! The secondary characters where quite interesting, Eleanor had to be my favourite of them all. She was one of those more than you see at first characters, and I also loved her voice! Her gossip persona was more than a smoke screen and actually something she turned into an interesting weapon. And my other favourite had to be Sir Bird, for a character with no lines and a bird to boot, he was absolutely delightful! I was actually surprised with the villain reveal, thought I'm now wondering if maybe I should have seen it coming... Anyways, it was quite the final confrontation and it managed to wrap around things well enough, even if we are left with many questions open about the bigger world, even if this particular storyline can be considered somewhat closed. I do hope we'll get some companion novels maybe, cause this one is a standalone, but I want moooore on this world, like Jessa, I want more on the history of magic! A very fun, very quick read, with amazing writing and a great main character. Well deserved 4 stars. It's my Birthday Week: Today I'm giving away Midnight Thief!! It's my birthday this next Sunday the 28th, and I'm not feeling extremly excited about it this year. I'm not sure if it's just a question of the rather messed up emotional state that I am as of late, or maybe I'm not ready to turn 34 yet! Either way, I decided that I needed to do something to be more excited about it, and how to do that? Easily, with books!! I've decided that on the week leading up to my birthday I'll be giving away a different book each day! Those books will be books that I've really loved this year and I cannot wait to spread the love about them all over the place, and what better way than to share them with my fellow book lovers! And I forgot to add ALL giveaway are INTERNATIONAL!! I'm starting this week's long giveaway with a book that although it might have not made it into the giveaway since it didn't get 5 stars from me but I found myself with two copies that I ordered (Amazon and Book Depository) without realizing. I'm sure any of my fellow bookworms can relate to that... Whoooops! 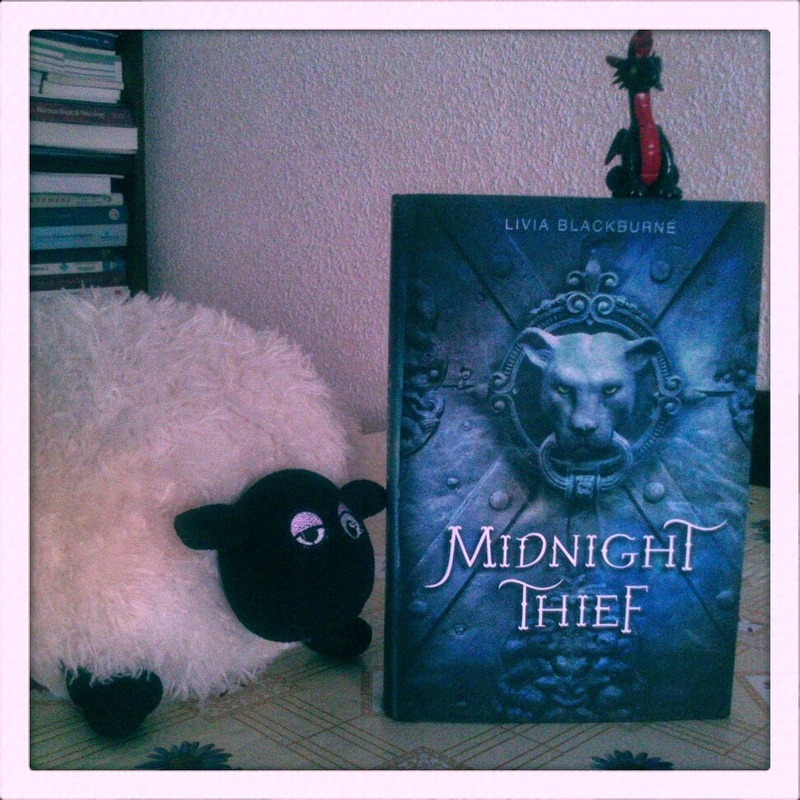 Midnight Thief is Livia Blackburne's debut and it's a fantasy book with a few very unique and unexpected twists! You can see my review HERE. 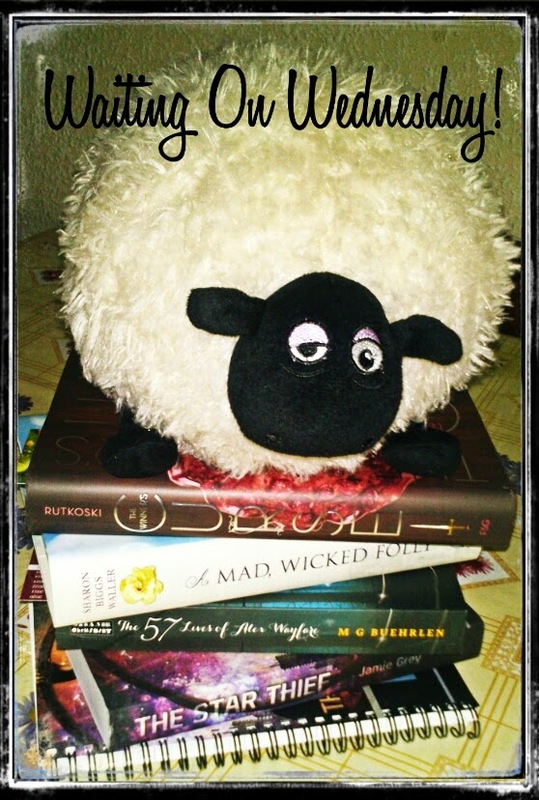 So dears, start celebrating my birthday on ahead with me and enter the Rafflecopter giveaway! It's been a few weeks since my last Showcase Sunday and I have quite a backlog of books both physical and eBooks and swag and a bit of everything and I'm feeling way too tired to compose a proper long post with everything, so I will be showing off all the physical books I got and all the awesome signed swag I got too! I've got some really awesome things in the mail as of late, not only purchases from Book Outlet or The Book Depository, but also I got my first finished copy sent directly by the publisher (THANK YOU SO MUCH PAN MAC MILLAN!!) and won a giveaway for my first physical ARC of 2015!! Another awesome Book Outlet Order! 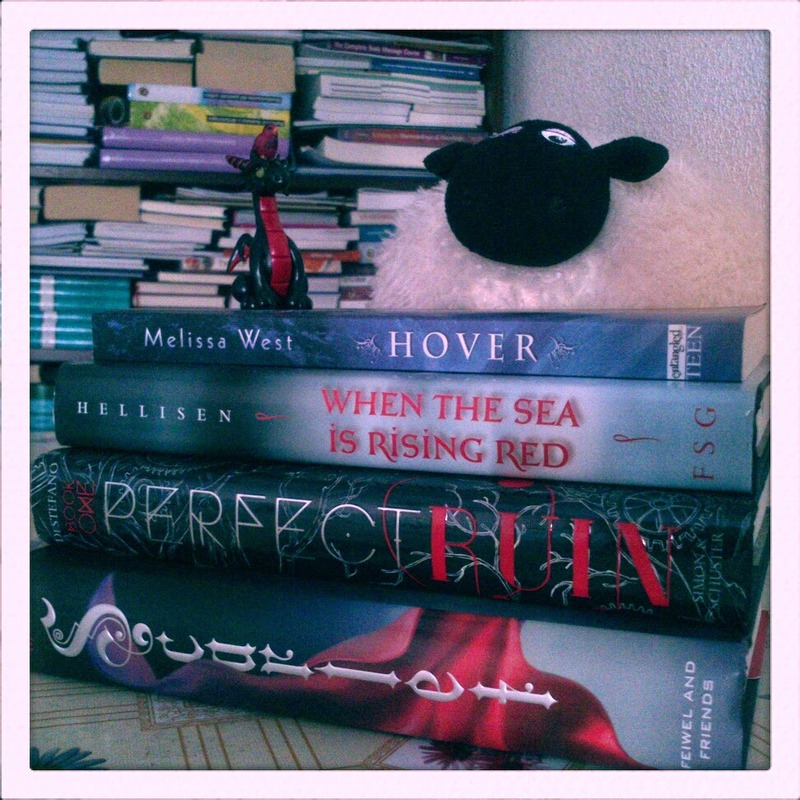 I needed physical copies of Scarlet and Perfect Ruin, cause I loved those books! When The Sea Is Rising Red I got after Wendy from The Midnight Garden highly recommended it and I got Hover to finally read it before the final book in the trilogy releases. One of those bookworm problems, when you end up ordering two copies of the same book, so I'll be giving this one away for my b-day's giveaway, starting soon, so keep an eye on the blog! 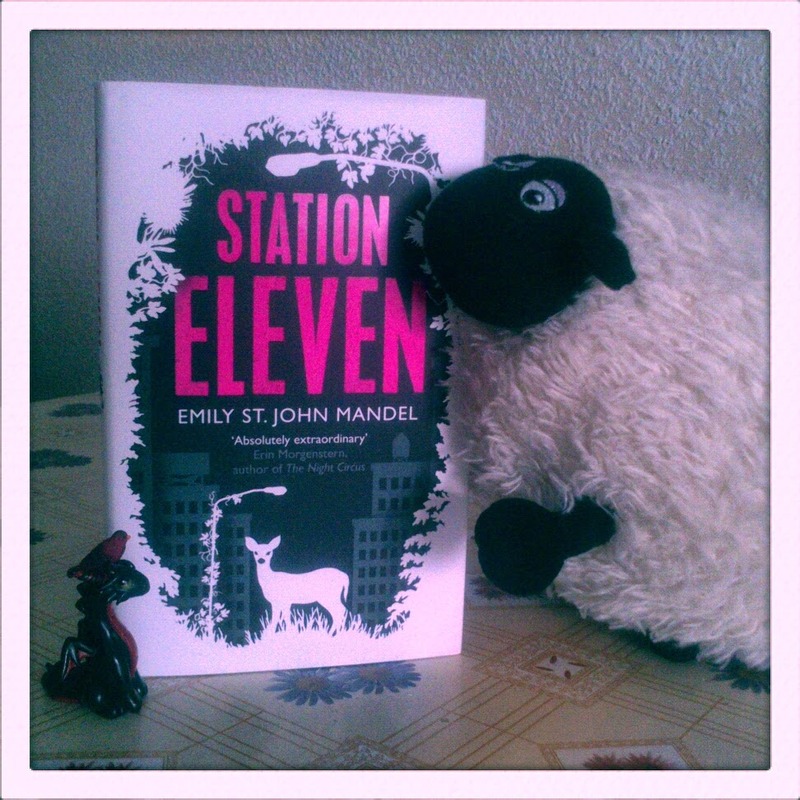 I got this supremely gorgeous finished copy of Station Eleven sent directly by the publisher and I was flailing like mad when I did, thank you so much Pan MacMillan!!! 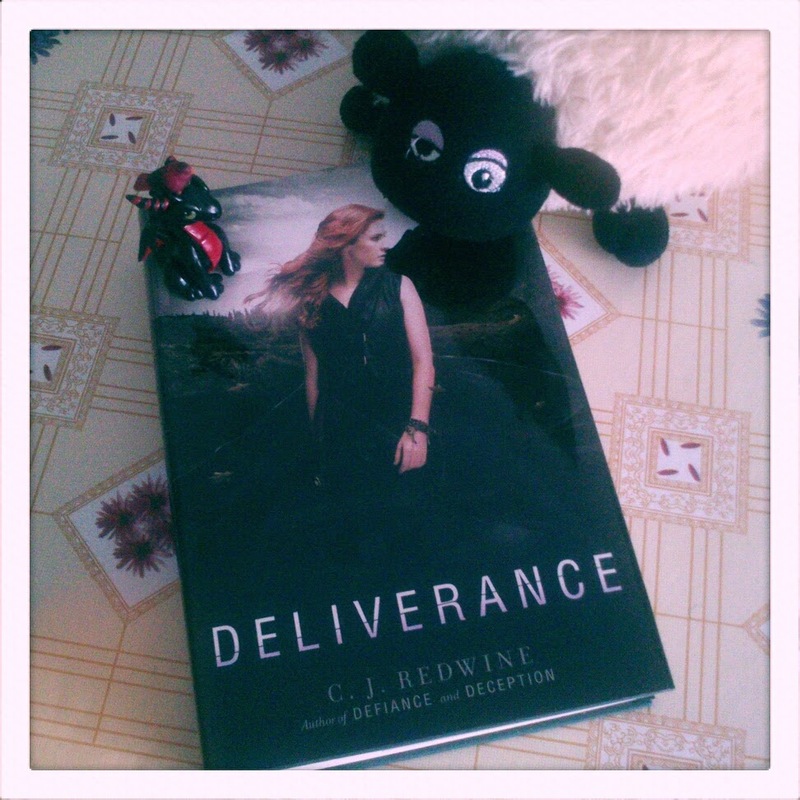 My absolutely precious copy of Deliverance that arrived on release day from The Book Depository which was an absolute treat! I loved this book but I am quite sad that the trilogy is now over. Lailah!!! I finally managed to snag an ARC of Lailah!! Nikki Kelly was amazing enough to ensure I could get my hands on a copy through Danny from Bewitched Bookworms! Thank you so much to both Nikki & Danny!! Another Book Outlet order, with two more books I adored and needed to own in physical form and one that has been intriguing me for a while. After reading and loving the ARC of Gypsy I got myself a signed copy from the author! Thank you, Trisha! 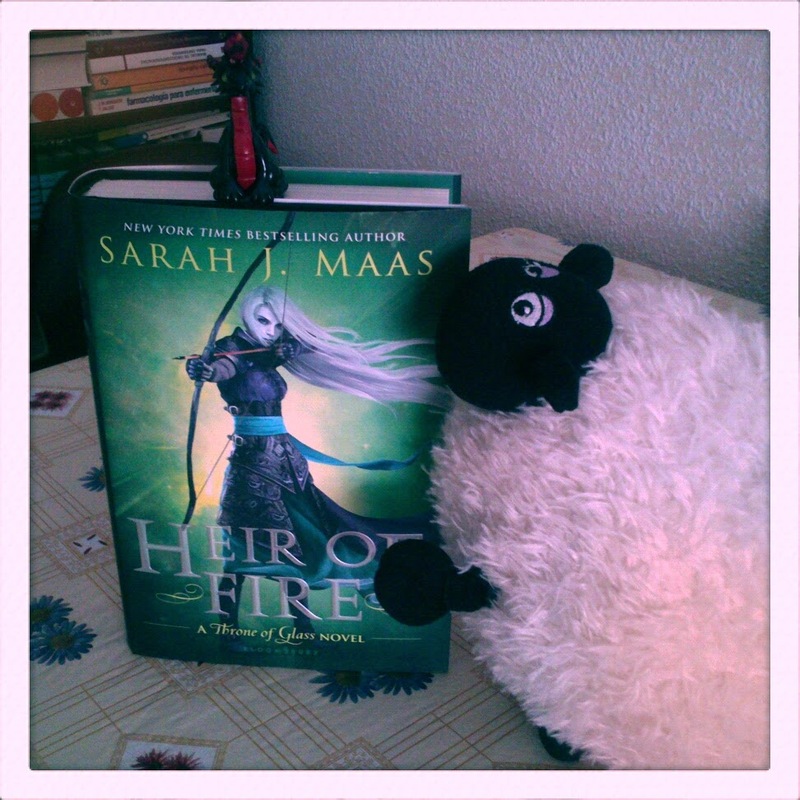 My dear and long awaiting copy of Heir of Fire! I preordered it and even if it shipped the week before release day it took forever to arrive, but it was more than worth the wait! Winning a giveaway is amazing and winning a giveaway for an ARC of a sequel that you're dying to get your hands on and that comes out next year? Priceless!! 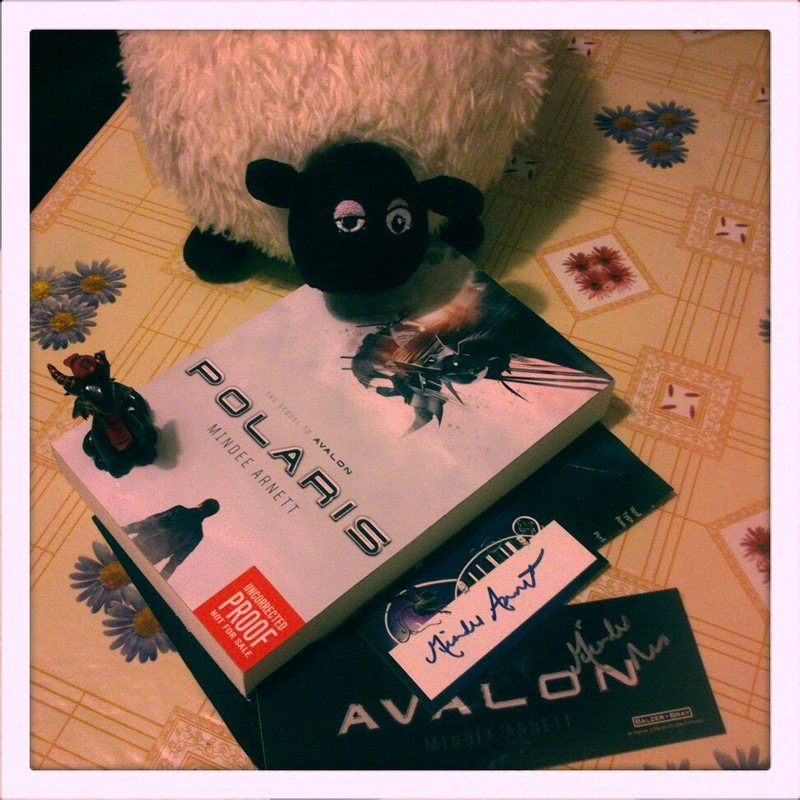 Thank you so much Mindee, for the book, for the signed swag and for being generally awesome!! 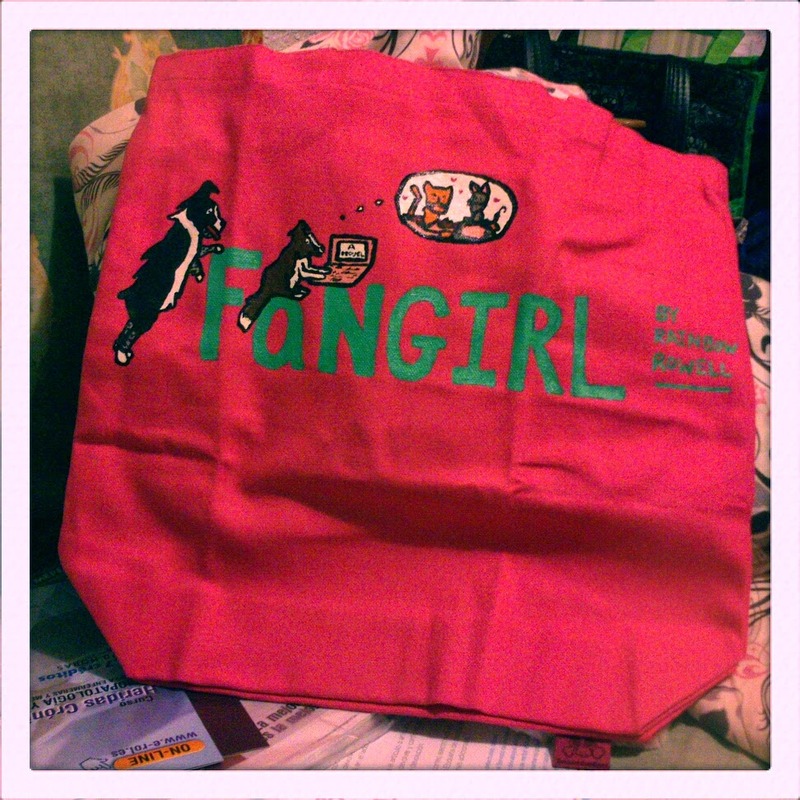 I'm you all already know how much I adore Becca and her fantastic painted totes, and I just had to ask her to paint me a Fangirl one with her Cover Puppies version of the cover! Ain't it adorable?? Do visit her Etsy shop! 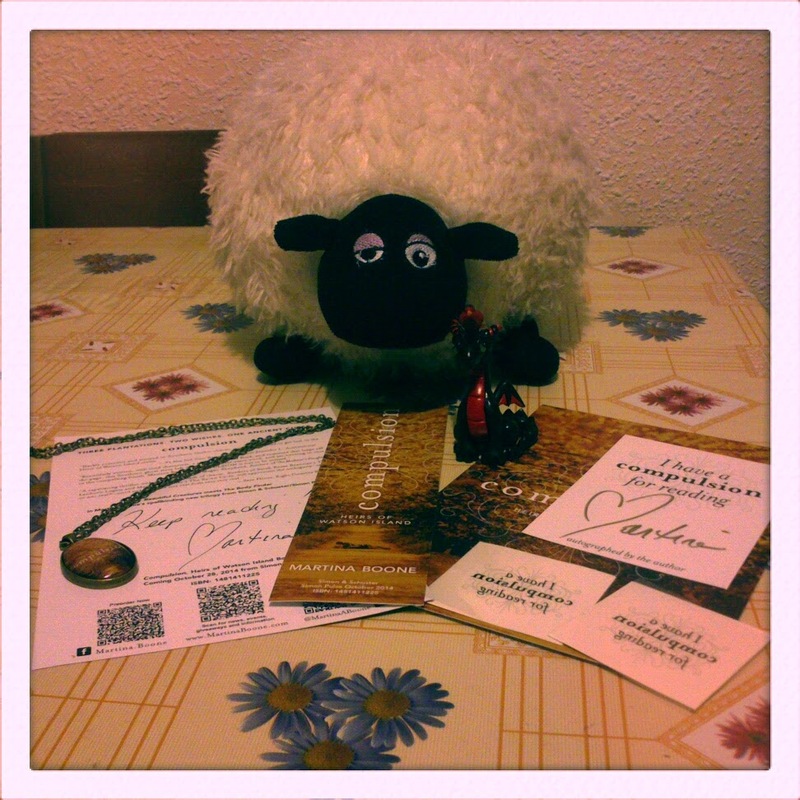 I also got some stunning signed swag that I won from Martina Boone's huge ongoing giveaway to celebrate Compulsion's book trailer, I adore that necklade! Thank you so much Martina! 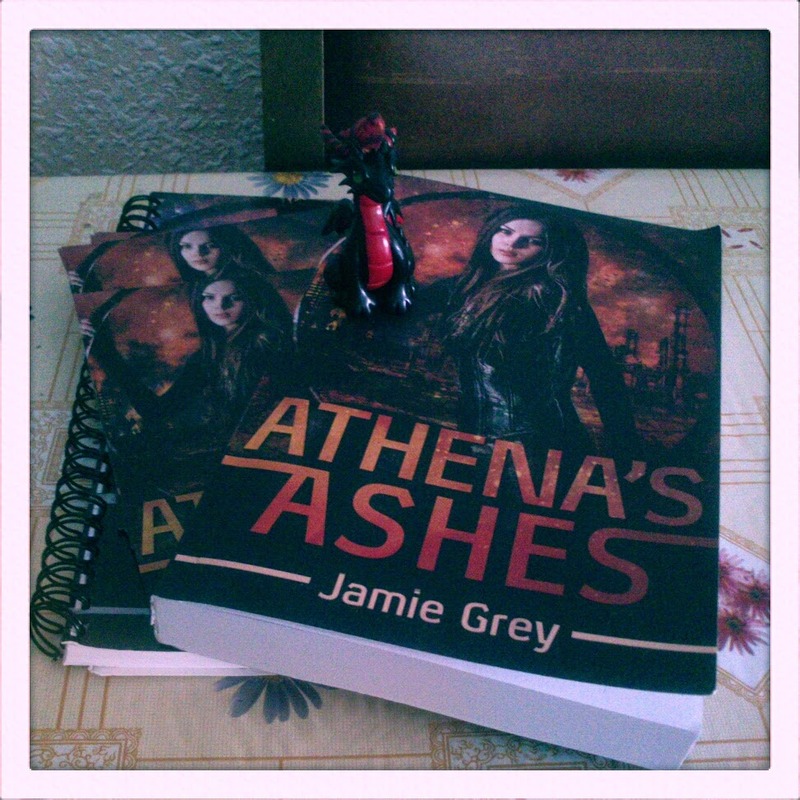 And I also got myself a signed copy of Athena's Ashes and Jamie was ever so lovely to send me some swag, postcards and a notebook! Thank you so much, Jamie! 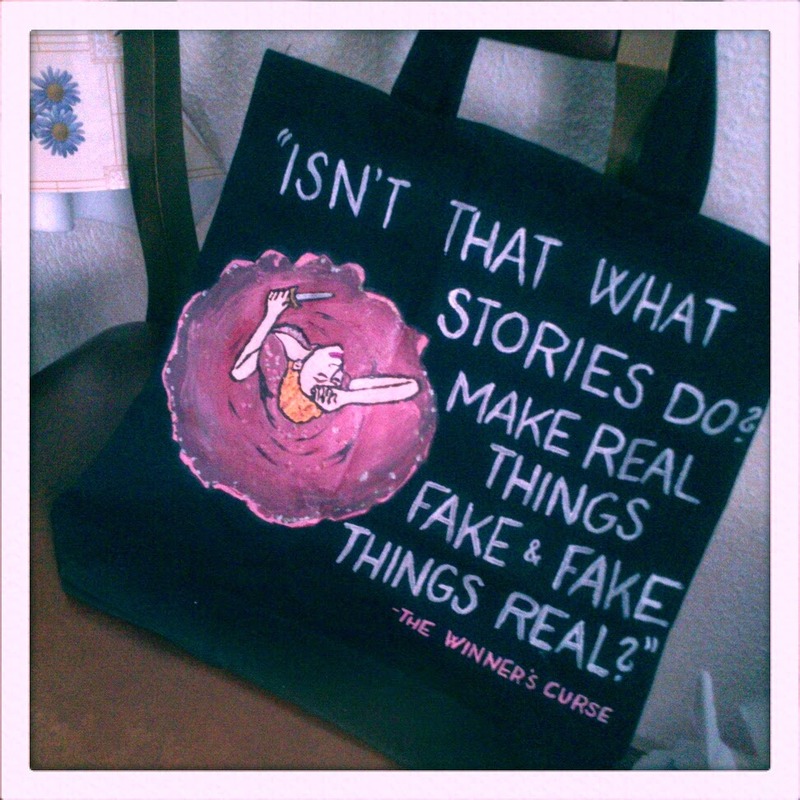 And I got another gorgeous Pivot Book Tote from the ever so talented Becca, if you want your own Winner's Curse tote, find it HERE! And that's all for today, I do really need to try and not let that much time pass between Showcase Sunday posts, or I get too overwhelmed by everything and end up doing a babbling post like the one today, without any GR links, sorry guys! What all did you lovely peeps get this week?? 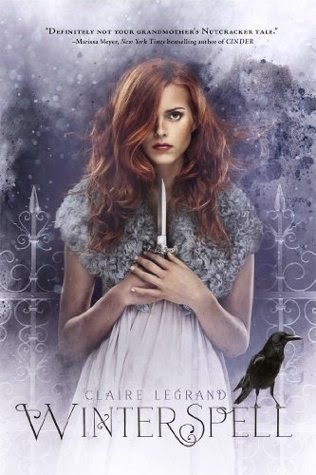 Saturday Pages: ARC Review of Winterspell by Claire Legrand!! How's your weekend going? Mine is going pretty well, losing sleep while devouring an extremely captivating book and finding myself actually swooning with a character like very few times (Jamie Frasier the Highlander is quite something!!) and today I'm actually off to have a girl's pampering day with one of my besties, as an her early birthday gift for me! But I have a review for an ARC as this week's Saturday Pages and it's quite a great one! I was very lucky indeed to be approved this one by Simon & Schuster via Edelweiss for this one on my second try! As an ARC I'm also counting this one for my 2014 Review Pile Reading Challenge! Winterspell was one of those highly awaited books that I was beyond happy (and surprised!) that I got the chance to read and review ahead of time. I requested it via Edelweiss and was declined the first time, so imagine my surprise when I tried again and was approved for it! Since I knew there was a prequel novella coming out, I decided to wait to read it after I had read the novella, and I think it was quite the right choice! Reading Winterspell will spoil the story of Summerfall for you, and it was fantastic to discover Cane before the war and gave a much different and welcome insight to what's going on in Winterspell too. Winterspell starts with a hint at Cane but with the focus on Clara Stole and her struggle to feel safe in her life in New York. Her mother recently dead, murdered, and her father folded in grief and a puppet of the mob, she struggles to keep herself and her sister safe from some very dark characters that are her father's "allies". Clara is quite a complex character, she has an inner strenght and resiliance that seems to fly out of the window when confronted with some dark (and frankly scary) characters, but I couldn't blame her for feeling terrified of a certain Dr, he's a character that would make you shiver in anger and fear all at the same time. She's had a bit of an unusual upbringing with her Godfather, a very curious man that was a friend of her mother's and that has been telling her stories and training her on self defence since she was little. I had began to wonder what the connections with Cane would be and where on the storyline after Summerfall we'll land with this one, and even if I didn't get my curiosity satisfied all too soon, I was treated to great storytelling and retelling, with some really interesting twists to the Nutcracker story thrown here and there! Once Clara finds herself in Cane with Nicholas, she is thrown straight into a most dangerous game, war and dance of deceit, doubts, misplaced trust and self discovery that culminates on meeting Anise, the current queen of Cane and a half breed (that we met if briefly in Summerfall). Anise was a fascinating character, mad as a hatter and full of hate it seemed on the surface, but with a much unexpectly softer and fragile core that we barely get to glipse here and there. I found Clara's relationship with Nicholas and Anise both extremely interesting and well done, both serving to further the story and to help grow Clara's character to the savior that Cane needed. The writing was gorgeous and captivating and I'm very much willing to read anything that Clare Legrand would write, and even if this one stands very well as a standalone, with an hopeful & open ending but satisfactory enough, I would also see enough openings for maybe companion novels or at least novellas, there's a lot of Cane that can be explored I'm sure! A wonderful retelling that doesn't requite any knowlegde of the original story to be enjoyed, but those who know about the Nutcracker will find themselves delighted in the way that Clare has twisted the story in her own way. Very well deserved 4 to 4.5 stars to this one! 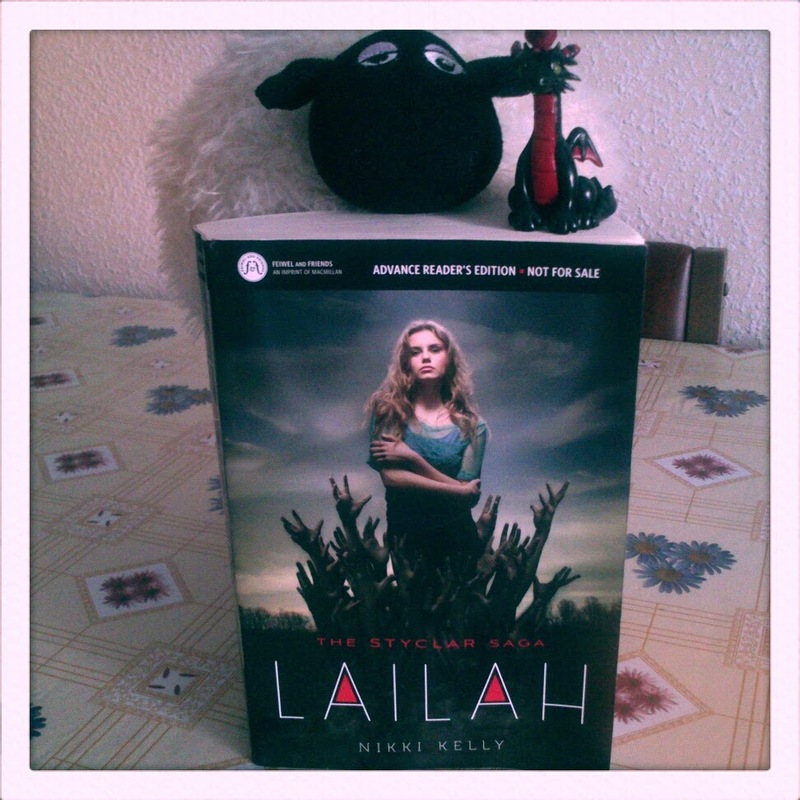 Friday Reads: ARC Review of Lailah by Nikki Kelly!! I'm finally getting today and the weekend off, and after the many days of work on a row I've had, I really really needed this! Today I might be baking a bit, depending on how I feel after taking a lil resting nap after night shift, tomorrow the plan is to be taken to a spa as an early birthday gift by one of my besties and then read and watch Doctor Who and Outlander! This week's Friday Reads is all about one of my most anticipated debuts of the year. Not only I was very intrigued by the premise of the book, but also the author is an absolute dear! She made sure I managed to get my hands on an ARC of the book! Thank you so much Nikki! And thanks a lot to Danny from Bewitched Bookworms for sending me her ARC! 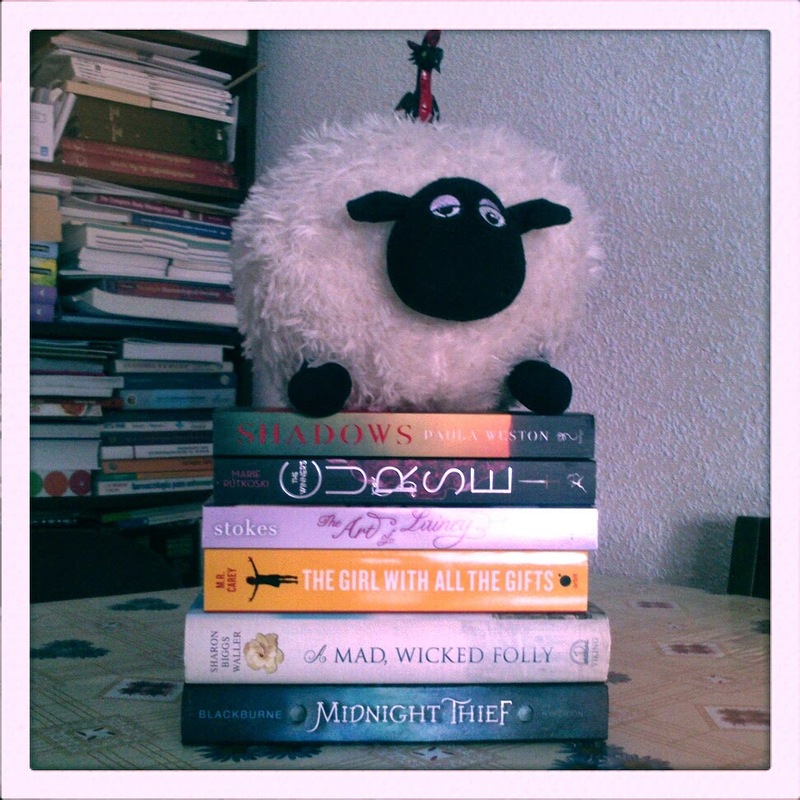 As an ARC it's gonna be counted towards my 2014 Review Pile Reading challenge! I have been super excited about this book for so long and I've had both the Kindle and the hardcover preordered for quite a while, so when the author made sure I could get my hands on an ARC, I was quite beside myself with excitement! I'm very happy to say that I was not disappointed by this book, even if it has a love triangle, and I think it's been established that I am not a fan of those! When we first meet Cessie, we find out that she's not really human and that maybe Cessie is not her real name, and once she starts stumbling into vampires and then meeting up with an angel and realizing that her memory is being both an ally and a liabilty. My absolute favourite part of the book is the mythology and how Nikki has mixed Angels & Vampires, creating a whole new origin story for both that is both fresh and fascinating. The origin stories of vampires and angels and the connections between them were quite unique in themselves and I really enjoyed how the explanation for the mythologies and religions created around those facts for this world worked very well with what we know but thankfully never got preachy, which is quite usually a danger with angel books. I have the feeling that we have bt scratched the surface of more information about the world of Styclar-Plena and I cannot wait to find out more. The characters were quite an interesting mix, Lailah is a girl in trouble, that knows she's lived more than once and that finds herself torn between two guys, two sets of instinct and two guys. Gabriel and Jonah could have been made into two typical archetypes of good and evil, but with the intriguing mythology that Nikki created, neither of these guys is entirely black or white, even if they wouldn't want to accept it themselves. Both deal with the world with a good palette of greys. The love triangle set up here managed to work for me because it's all about choice and destiny/fate and also each guy calls one side of Lailah's dual nature. Gabriel brings out the light, and Jonah seems to bring the wilder and more dangerous nature of Lailah out. Despite my enjoying their interactions and finding both guys very intriguing I just couldn't pick a side, so to speak, both love interests had fantastic & swoony perfect moments and both had moments that made me want to whack them in the head! Lailah herself has a tendency to recklessness and acting on impulse that made me shake my head more than once. It didn't bother me as much, given how maddening being on the run or in safe houses must be, and her memory loss means not knowing who to trust and what to think of those that know you better than you do at the moment. The ending and the epilogue were the "have you on the edge of your seat" kind and I was so glad to see the first chapter of the next book in this one, but that was not good since even that chapter ends up in a cliffhanger! Very well deserved 4 stars for this new refreshing twist on the paranormal! 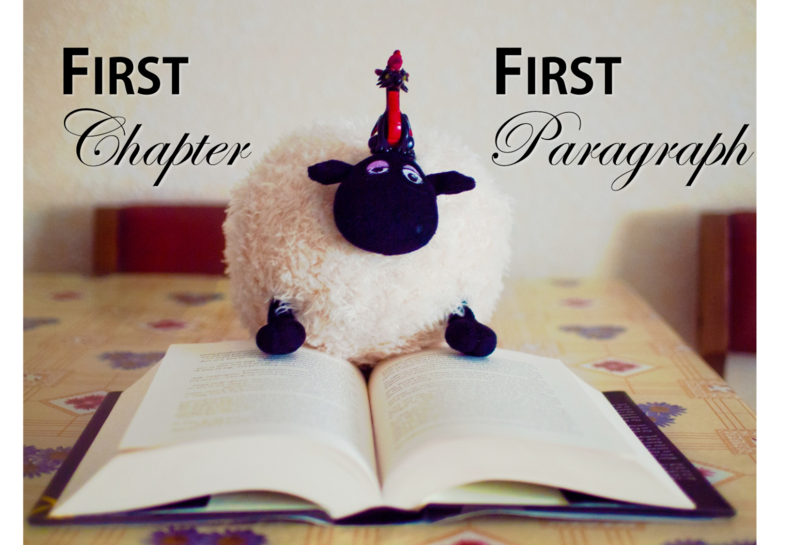 First Chapter First Paragraph #11: Winterspell by Claire Legrand & Polaris by Mindee Arnett!!! Sooooo, I really haven't been reading much these past few days, so I'm still reading the same books I talked about on Tuesday and that means you guys are gonna get a peek at two ARCs and one of those is a 2015 one!! Excited?? I hope so!! Bear in mind, these paragraphs are taken from ARCs, so they might or might not remain like that on the finished books! "One more hour and Clara Stole could turn criminal. Could, that is, if she managed to stand her ground until then, for every eye in the crowd was watching her, waiting for her to say something impressive, something to commemorate the day. And she was so tired of fumbling through grand words that were never quite grand enough for such hungry, thirsty people." "The spaceport's casino was the perfect spot for the deal to go down"
What? You want more? Ooookay! "Jeth Seagrave knew it the moment he stepped inside. The place seemed to envelop him, the light so bright they made it almost impossible to see and the noise a constant vibration, everything from the hum of the slot machines to the shouts of dealers calling for bets. Some kind of mild, hypnotic music played in the background, blending the sounds together in a reassuring soundtrack -- time does not exist here, it seemed to intone. Here you are safe. Here you belong." And what book am I biting my nails awaiting release day for this week? 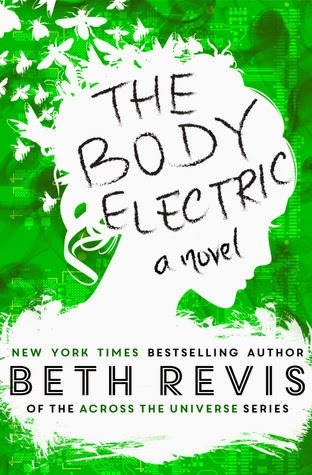 The Body Electric by Beth Revis!! "The future world is at peace. So who can she trust?" Why am I eagerly awaiting The Body Electric? Well, it is a companion novel to the Across The Universe series, taking place on Earth and according to Beth Revis herself is full of amazing geeky references, so what's not to love!?!? 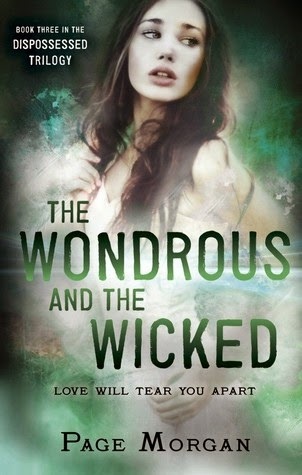 Sharing the Cover: The Wondrous & The Wicked by Page Morgan!!! Well guys, today Page Morgan has officially shared the cover for the third and last book in her Dispossessed series!! It had been UNofficially floating around the interwebs, but today we can finally oooohhhh and aaaaahhhh at it! I was super excited when I saw the cover, because all the covers in this series are absolute stunners, but I think this one might just be the most gorgeous of them all!! And the best news for fans of the trilogy like me? The release date is April 14th 2015!! Not in May or June like the previous two books! Less waiting time FTW!! Now guys, excuse me while I go check if I already have this one preorder and if I don't, to correct that and preorder right NOW!! "Following the events of Avalon, Jeth Seagrave and his crew are on the run. Jeth is desperate to find the resources and funding he needs to rescue his mother from an ITA’s research lab and leave this whole galaxy behind for a new life somewhere else. But the ITA is just as desperate, and soon Jeth finds himself pursued by a mysterious figure hell-bent on capturing Jeth and his crew—dead or alive. In a last-ditch effort to save everyone he holds dear, Jeth enters into a bargain with the last person he ever thought he'd see again: Dax Shepherd, the galaxy’s newest and most fearsome crime lord. And he’s not the only one: upon arriving back at Peltraz spaceport for the first time since he witnessed the death of his old employer, Jeth discovers Dax has a new partner: Jeth’s mother, Marian. This shocking turn of events is only the first in another breathless, action-packed sci-fi adventure rife with danger, love, and betrayal, as Jeth has to once again ask himself how much he’s willing to invest in a morally bankrupt galaxy in the hopes of saving those he cares for." When Nicholas and Clara journey together to Cane to retrieve her father, Clara encounters Anise, the queen of the faeries, who has ousted the royal family in favor of her own totalitarian, anti-human regime. Clara finds that this new world is not as foreign as she feared, but time is running out for her family, and there is only so much magic can do..."
These two are ARCs, and both of them I'm reading more as me reads than actually because I must. 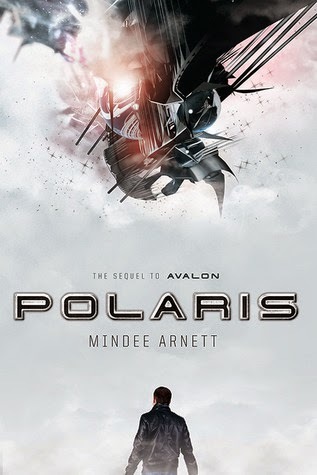 Winterspell is a September release, so this one is also working on the review pile, but Polaris... well, Polaris is a total "I want to read it now and I don't care if it's a 2015 release" case. I won the ARC on a giveaway that the author did on her blog and I'm just so happy to have it in my hands! Thank you Mindee! Mark This Book Monday: Linked by Imogen Howson! !